Download "2011 HIGHER SCHOOL CERTIFICATE EXAMINATION. 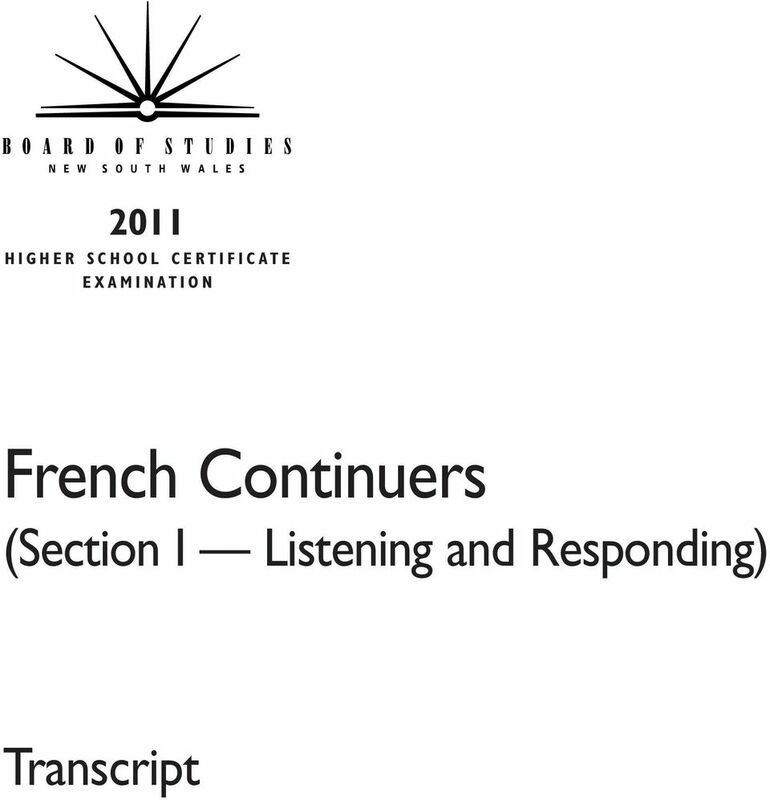 French Continuers. 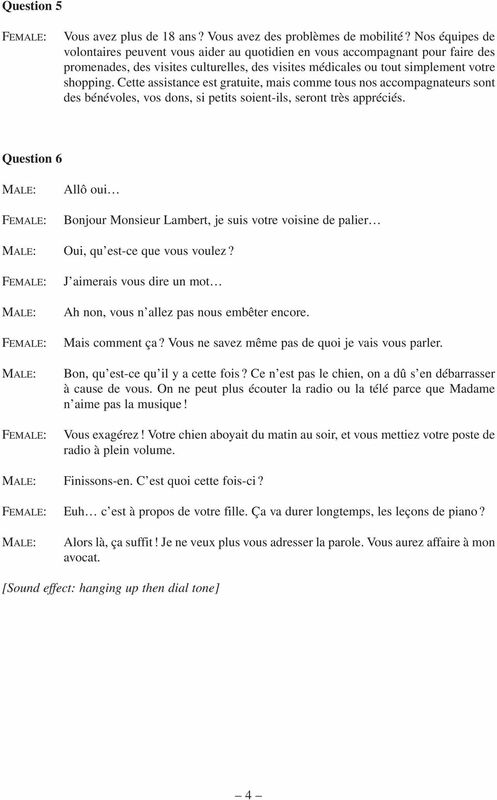 (Section I Listening and Responding) Transcript"
LEONARDO N AVAIT RIEN FAIT DE MAL, MAIS POURQUOI S ENFUYAIT-IL? SUIVEZ BIEN CETTE HISTOIRE! JE NE TE DEMANDE PAS LA LUUUNE? 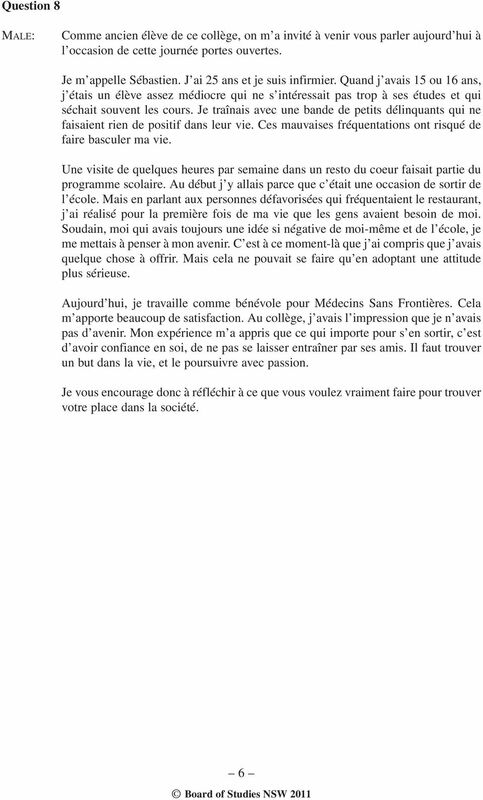 REGARDE! C EST LEONARDO! EXTRA 8 - LA COUSINE DE LA CONCIERGE Sändningsdatum: 25/10 2004, kl. 17.00 i SVT1 Programlängd: 25 min Producerat av Channel 4 «Chers locataires, ma cousine, votre concierge, est en vacances cette semaine.